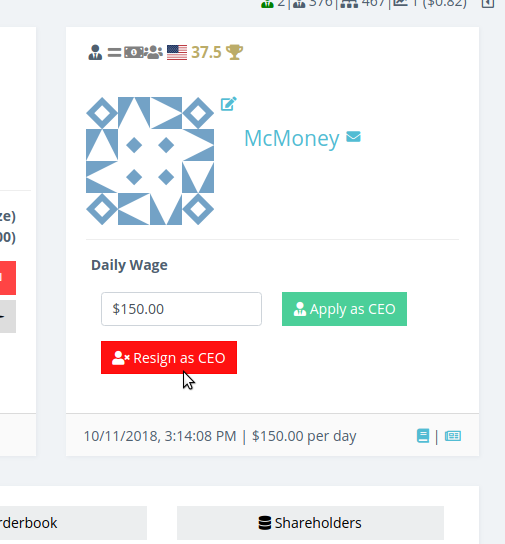 With this smaller release Alpha-Trader.com offers you the possibility to resign as CEO and to check on-going corporate actions. In case you do not want to control a company anymore you can use the resign as CEO button on the company profile. The system automatically makes the next shareholder with the biggest share the new CEO. If this is the current CEO, the next shareholder will be picked. If there is no other shareholder left the company will employ the Alphabanker who eventually liquidates the company. In case the shareholder is a company and not a private investor the system picks the shareholder company's CEO as the next CEO. For a market overview of current corporate actions a pager has been added. 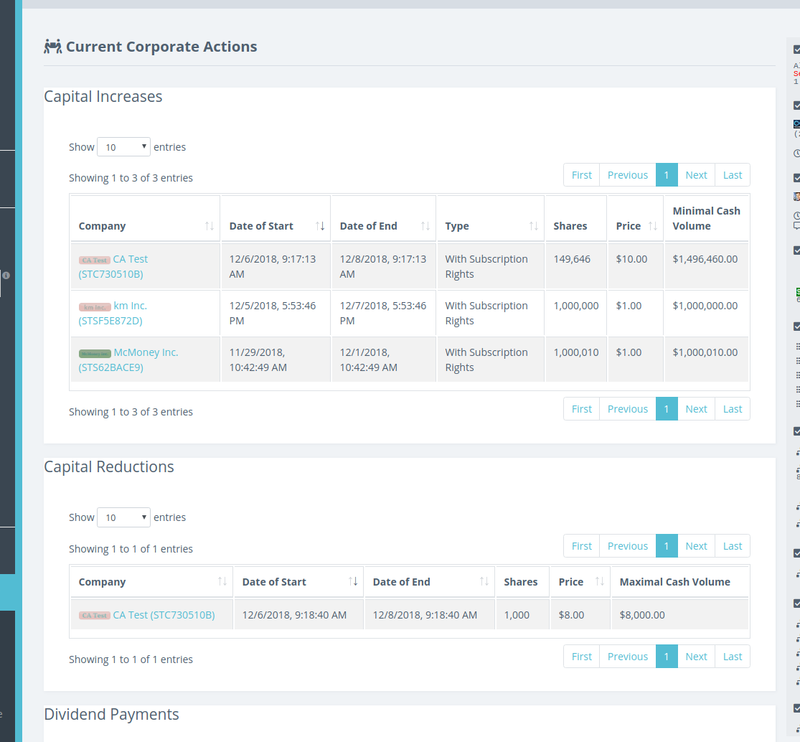 The page shows current capital increases, capital reductions and dividend payments.